Not for the first time, the old Animal Farm-adage is proving correct. The New Marcus suitcase from Antler is the perfect travel companion for the modern traveller, the four wheels gliding smoothly through the departures hall as though on ice. 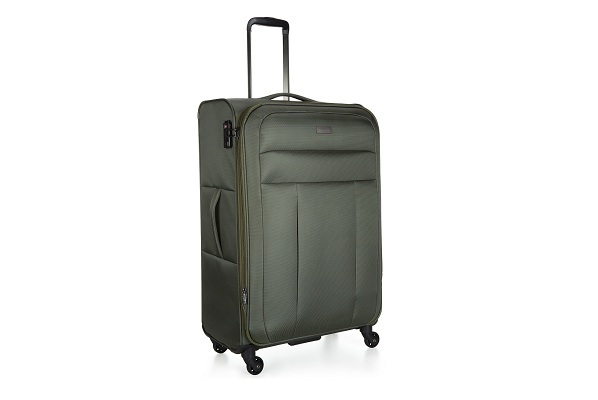 With the new 360 degree rotating wheels flexibility is the key, allowing you to move in any direction. With 102 years of experience and heritage in travel goods, this is no surprise. Everything Antler has learnt since it was founded in 1914 contributes to the design and manufacturing of each and every one of their products. And it is this heritage that sets them apart from other brands and gives Antler customers great reassurance. The elegant, no compromise, design of the latest Marcus is a case in point, offering a host of features. Designed to be ten per cent lighter than the previous model, it is a breeze to carry. What’s more, the lightweight bag enables customers to maximise their luggage allowance - without compromising the overall classic design. The fixed TSA combination lock will give users added peace of mind on every journey, while two front pockets offer flexibility and practicality for any type of journey. With its proud tradition of Great British design, epitomised by a team of talented and creative designers based in London, this is just the latest in a long-line of classics from the brand. Antler constantly challenges and pushes the boundaries of technical innovation while maintaining their unique British sense of style. Antler is a proud British company that has been making well designed and high quality luggage for more than a century. The brand has remained at the forefront of the industry thanks to its passion for craftsmanship and dedication to be innovative. Ultimately Antler aims to ensure everything they do is underpinned by the key pillars of the brand: Designed. Tested. Trusted. Since 1914.